Scavenging, replicating, or remixing, many influential artists today reinvent a legacy of "stealing" images and forms from other makers. Among the diverse, often contestatory strategies included under the heading "appropriation" are the readymade, detournement, pastiche, rephotography, recombination, simulation and parody. 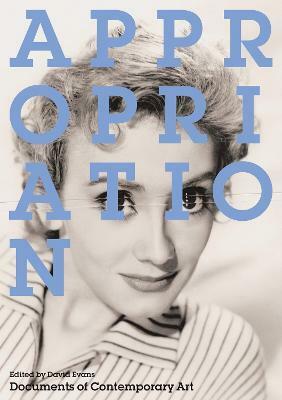 Although appropropriation is often associated with the 1980s practice of such artists as Peter Halley, Sherrie Levine, Richard Prince, and Cindy Sherman, as well as the critical discourse of postmodernism and the simulacral theory of Jean Baudrillard, appropriation's significance for art is not limited by that cultural and political moment. In an expanded art-historical frame, this book recontextualizes avant-garde photomontage, the Duchampian readymade, and the Pop image among such alternative precursors as Francis Picabia, Bertolt Brecht, Guy Debord, Akasegawa Genpei, Dan Graham, Cildo Meireles, and Martha Rosler. David Evans is the author of the catalogue raisonne John Heartfield: AIZ/VI 1930-38 and a Research Fellow in Photography at the Arts Institute, Bournemouth, England. He has published numerous articles in such journals as Afterimage, Eye, and Source.